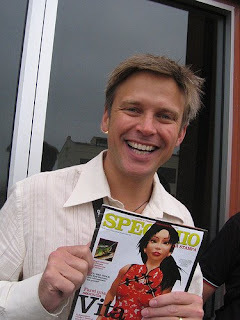 Philip Rosedale, creator of Second Life and founder of Linden Labs, is going to leave Second Life. The reasons to do this seem to be some problems with the other administrator, as seen in this article. Philip Rosedale. Photo by Andrea Benassi. "Cory and I have differences in how we think Linden should be run, differences that in the past few months have become irreconcilable." 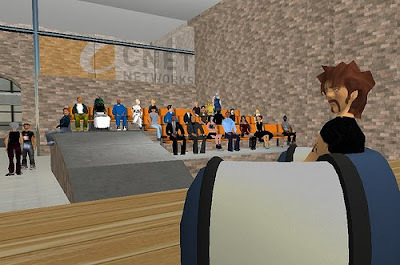 But there may be another reason, and it is that Second Life exceeded the popularity of many virtual worlds due to the enormous marketing promotion they produced. In the last times, there was not too much mentioning of SL in the media as in the past. The virtual world population had decreased and users are less active. The companies saw the selling of their products into SL had decreased too. So many companies have moved to other (and older) solutions like for example Active Worlds. Most of the SL users stay for just 1 month and then go away forever. This is something normal for any community. But what I think that has damaged SL is the excessive hype they have generated. It was the key for their success but also for their decadence. To resume: it promises much more that it can give to users, specially in an economical point of view. 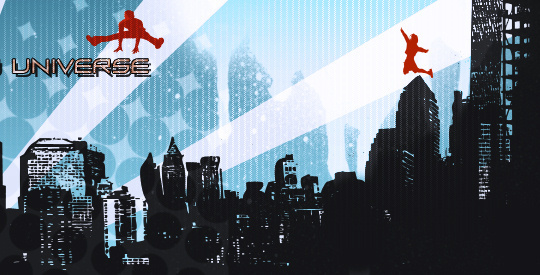 A photo of SL inworld. Photo by Cosmic Kitty. His biggest merit is to bring virtual world to the center of the news, after many years of indifference. I also think that his worst contribution was to identify virtual worlds only with cybersex and making too much emphasis in e-commerce. I think Rosedale is doing something very wise, and is to leave the company when it is still alive. The other alternative, much more noble, would be to change the company vision and change it to something less big, and more focused. For example they could specialize in what their users demand more often, let it be relations between players (sic) or virtual fashion contests. Rosedale's avatar in a virtual symposium. Photo by Larsz. But this would demand to earn less money, scale down, etc... SL faces the same problem as big empires do. Its enormous size is a drawback when bad times come. Hi, this is a very good interview. I would have liked to know about his experiences with other VW's in the nineties. What always surprised me is that the SL marketing included telling that Second Life was the FIRST and ONLY that did a virtual worlds community. And we all know that there were many before it, like Digital Space or Blaxxun, or Active Worlds, Worlds.com, and a long etc. Obviously they knew it was not true, but it worked for many people that were attracted to the idea. As I said, their merit was to attract millions of people to that. Now there's a big challenge for present and future virtual worlds: to attract people that are already familiar with the idea of VW.